In case you didn’t know, “Brunei” is just a nickname. The country’s official name is Negara Brunei Darussalam, and that is a mouthful. As with its name, what most people know about this tiny country is just a small segment of its real beauty. There is more to this wealthy Muslim nation than what many know about. One other thing you may not know about the country: Brunei is one of the wealthiest countries in the world. 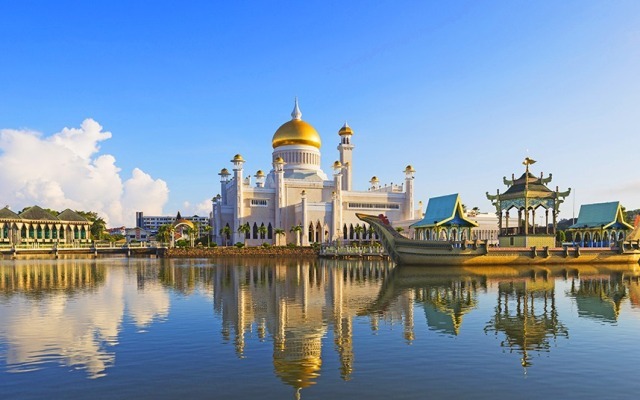 Its capital, Bandar Seri Begawan, has streets lined up with glittering palaces and mosques. These are adorned with real gold and other pieces of precious jewelry that most people can only imagine from Disney movies. The Sultan Omar Ali Saifuddien Mosque—again quite a mouthful for a name) — is a definite head-turner. It is the most beautiful mosque in Brunei and in all of Asia-Pacific, and it is adorned with marble minarets and flanked by lush gardens. One can see its dome made of pure gold from several points in the city. It dominates the city skyline, piercing through the clear blue sky. And let’s not forget that the mosque stands on a man-made lagoon. Brunei is rich not just in things that many can buy, but also a kind of wealth that no amount of money can purchase – the beauty of nature under the sea. Brunei is a scuba diver’s paradise destination. There are many shipwreck dive sites to choose from, and the water is nice and warm all year round. The real catch is that while hordes of international divers go to neighboring countries such as Malaysia, Thailand, and the Philippines, Brunei’s dive sites and coral reefs remain pristine, untouched, and unspoiled. Brunei is a must-see. Getting here is not difficult at all. This oil-rich country may not be easy to find on the map since it is quite small, but major airlines from London, Australia, and all over Asia regularly make their way to Brunei International Airport. One of the most beautiful, grandiose and heavenly places on earth, not just in Brunei, is the Omar Ali Saifuddien Mosque. Religious structures are supposed to promote reverence in order to set a tone of worship, and that is exactly what this mosque does. Located in the capital city of Bandar Seri Begawan, Omar Ali Saifuddien Mosque is definitely a major landmark in the country. Look at your Asian map and see that the sultanate of Brunei is made up of two land masses separated by the Malaysian province of Limbang in the island of Borneo. You will find the main island and the capital city of Bandar Seri Begawan on your left (west), while the island on your right (east) contains Temburong and the Peradayan Forest Reserve. Eighty percent of these two pieces of land that make up the whole of Brunei is mostly forests and jungles, and most of these forests have been converted into recreational parks. The Bruneian government is spending a fortune to preserve these parks and their unique ecosystems. 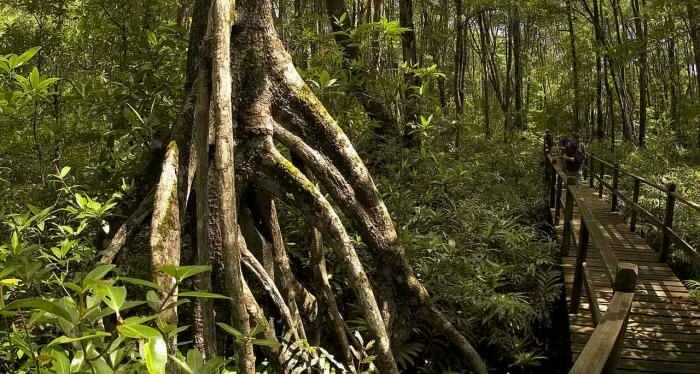 Below is basic yet important information about the Peradayan Forest Reserve. 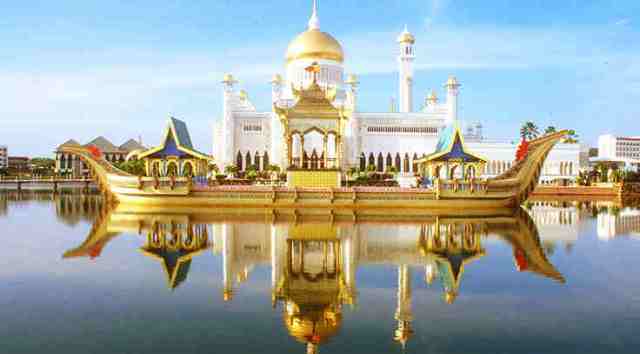 The heart of Brunei is the capital city of Bandar Seri Begawan and the heart of the capital city is Istana Nurul Iman. The name means “Palace of the Light of Faith” and it pertains to the majestic residential palace of Sultan Hassanal Bolkiah. It is the world’s largest palace owned and lived in by a national leader. Located to the south of Bandar Seri Begawan, this amazing structure stands on a hill by the banks of the Brunei River. The palace is also the seat of the government of Brunei. 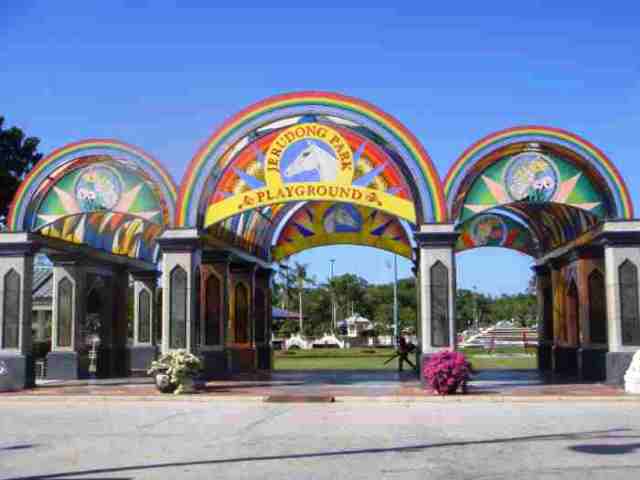 It had a grand beginning and exciting glory days, Brunei’s Jerudong Park, but today it is just a remnant of the amazing theme park it used to be. It opened in 1994 and after just two years of operation, a major international concert was held at the park featuring no less than the late great King of Pop, Michael Jackson. The concert was a celebration of Sultan Hassanal Bolkiah’s 50th birthday, although only the sultan’s family attended the mega event. The concert was held at the park’s Amphitheater, as more than 60,000 people came and found their spots throughout the park. Admission was free. The next year, Michael Jackson returned for a New Year’s Eve concert as part of his series of concerts around the world. Bandar Seri Begawan is the capital and largest city of Brunei Darussalam. 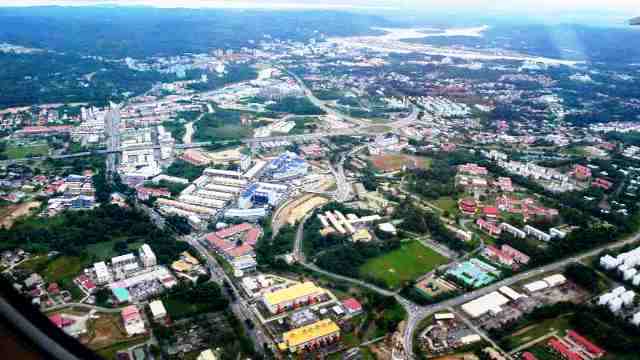 With a population of 140,000 people, the capital is home to almost half of all Bruneians living in the urban area. Residents bask in a warm tropical climate all year round with an annual average temperature ranging from 22°C to 33°C. The driest month in the city is March, while the wettest months are from October through December, although there is rain throughout the year. Brunei tourism is almost synonymous to the traditional Bruneian village called Kampong Ayer. You can’t say you have been to the sultanate of Brunei Darussalam if you have not seen this one-of-a-kind village. 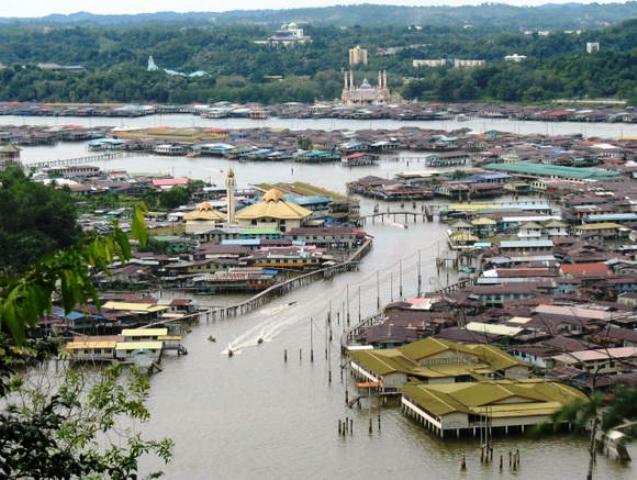 What’s so special about Kampong Ayer and why is it a culturally and historically significant tourist attraction?